Looking for a place to celebrate the coming Year of the Monkey, look no further than the beautiful Lili Chinese Restaurant in New World Manila Bay. The hotel may have a new name but the classically beautiful Lili is still as good as ever with Chef Andy Chan still dishing out wonderful Cantonese dishes. 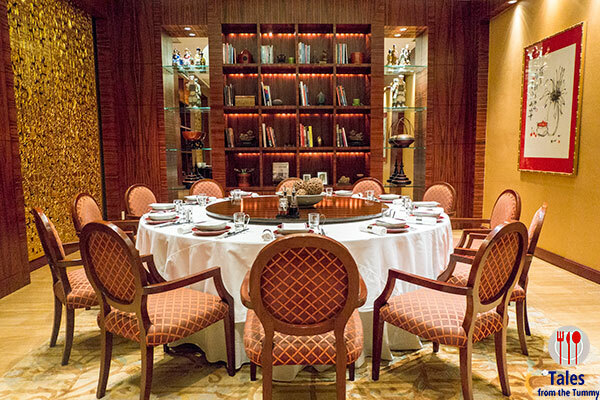 For the CNY he’s prepared two 10 course set menus that will be available from Feb. 1-11, 2106. Lunch started with Suckling Pig with Jellyfish. You can eat it as is like a hot appetizer or dabble some hoisin sauce on the mini pancakes, top with some jelly fish and crown with the crispy suckling pig skin. Close your eyes and enjoy as the different flavors and textures delight your palate. Japanese Conpoy Soup with Abalone Shell, Seafood and Bamboo Pith. 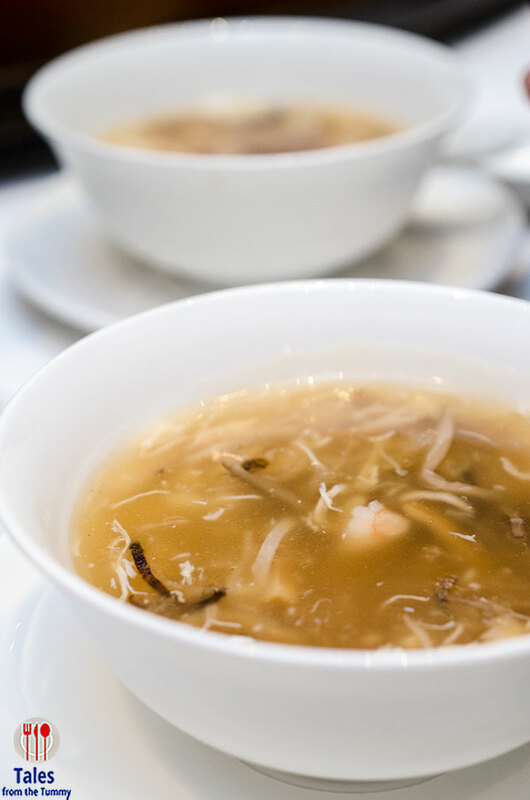 Thick and comforting soup that would really match the winter season in HK and China but packed with tons of flavors. Braised Dried Oyster with Sea Moss. 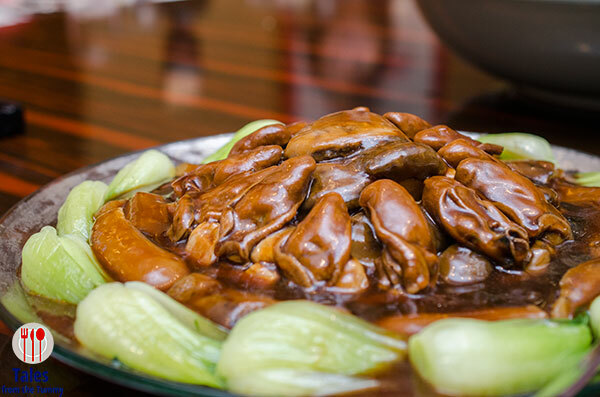 This dish bring luck to business with large dried oysters crowing braised vegetables, sea moss, sea cucumber and stewed pork. Lauren used to eat dried oysters in her congee when she was young but these are gigantic ones and must be quite expensive. I especially loved the sea moss and the stewed pork as well as the braised lettuce and bok choy. Baked Scallops with Shrimp Mousse. 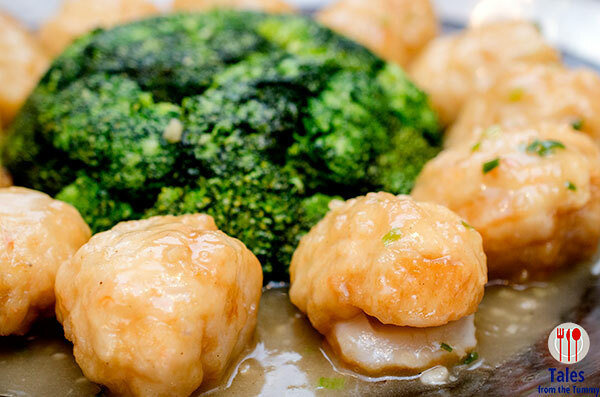 Think of this as fresh scallops topped with a sort of shrimp ball and baked in a tasty sauce. Broccoli is serve to complement the seafood. Wok Baked Cod Fillet glazed with Honey Pepper Sauce. This looks more like a modern Chinese dish with crunchy bits from fried golden mushroom strewn on top. 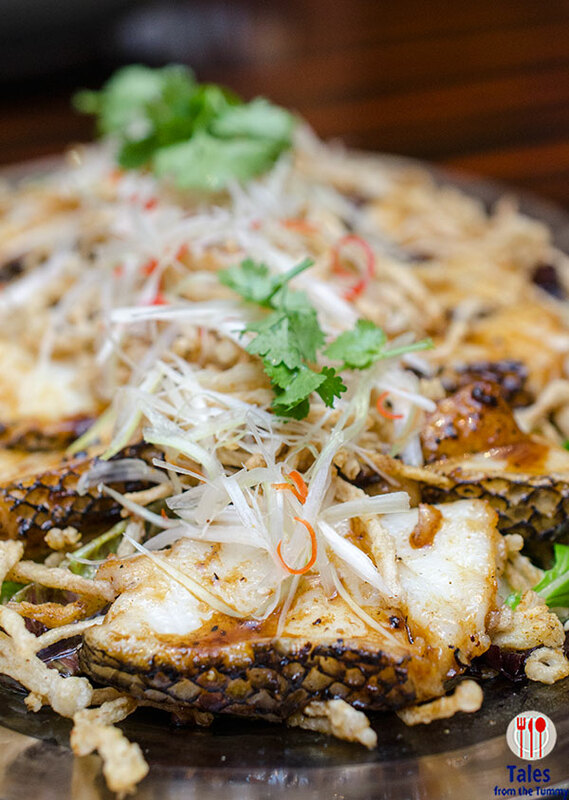 The cod fillet are firm and delectable with a sweet spicy glaze. 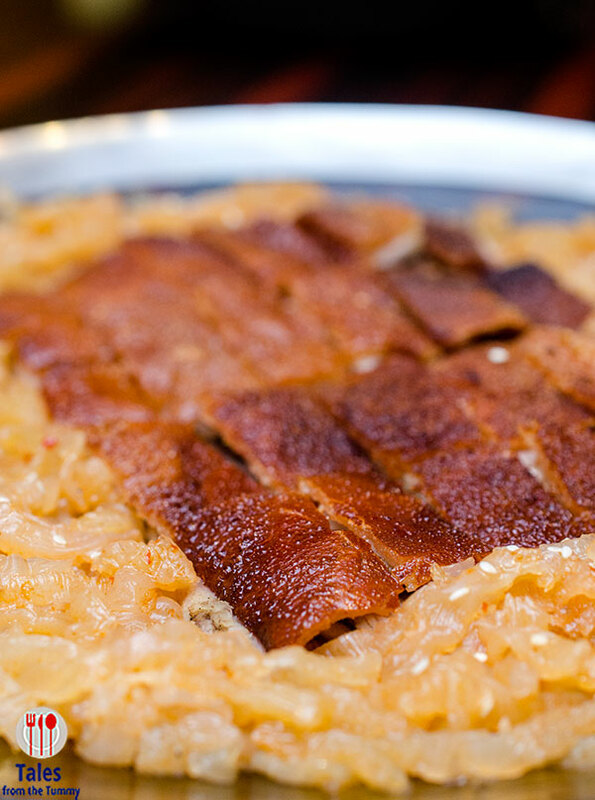 Fried Glutinous Rice with Assorted Meats. A delicious albeit heavy end to the savory portion of our meal. 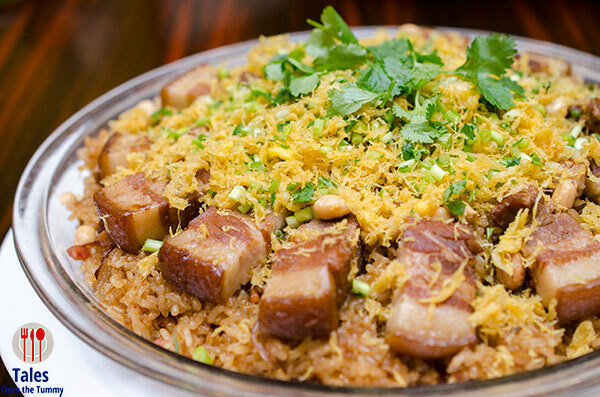 Rice dishes are only served at the end of a lauriat to give guests more enjoyment for each preceding dish. If you are still not full, the rice will be the filler. 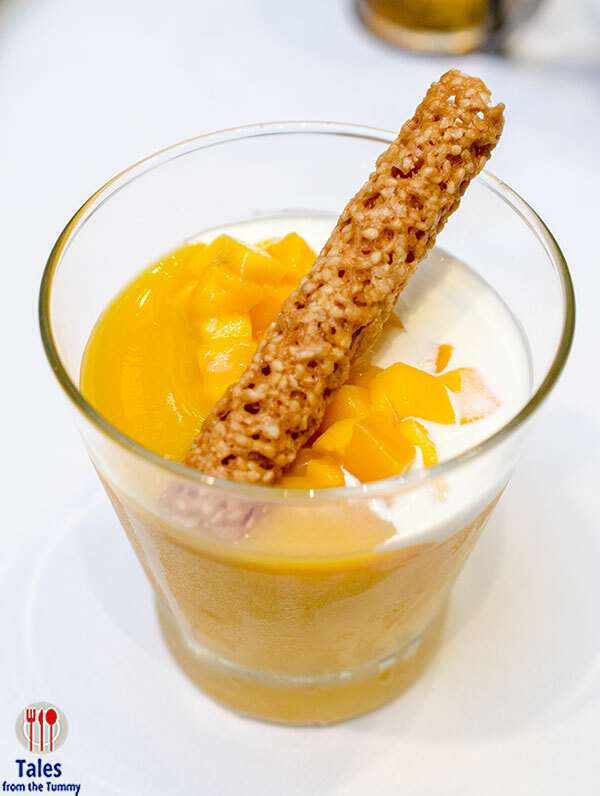 Chilled Mango Pudding. One of the best you can have in Manila, with a bonus by way of that delicious twill pastry. They also give you extra mango puree and cream to mix and match to your taste. The pudding is just right that it scoops easily but still hold shape, sweetness is just right also. 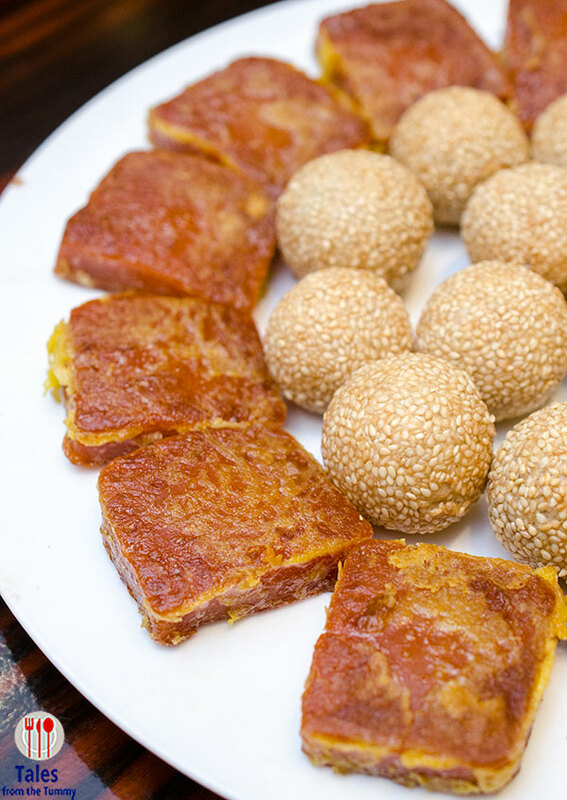 Pan Fried Glutinous Rice Cake and Sesame Balls. I’m not a big fan of rice cake/tikoy but I had two of these dark hued ones, perfectly chewy with mild sweetness.